Kim Kardashian is a self-confessed fan, who says, “When your hair is really damaged, if you sleep in that, it really works. I notice a huge difference,”. But it’s not just those who bleach or colour their hair who can enjoy the nourishing benefits. 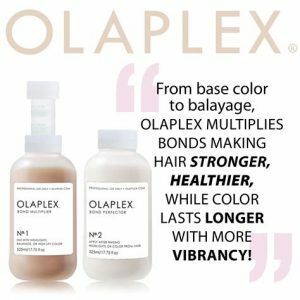 On the contrary, Olaplex delivers a glossy, strengthening treatment to all hair types and textures, coloured or not.